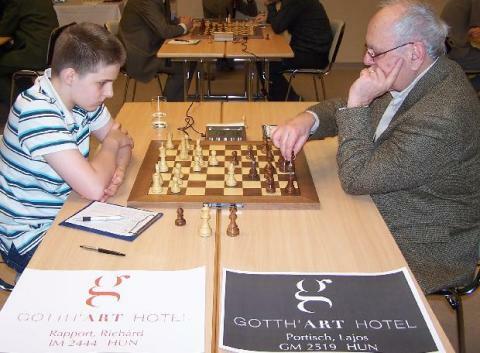 At the age of 13 years 11 months and 5 days Richard Rapport fulfilled his final norm at the Gotth’ Art Cup to become Hungary’s youngest Grandmaster. With this achievement, he surpassed the record of Peter Leko and is currently the youngest grandmaster in the world. Anna: What a great success, Richard! How does it feel to beat the record of Hungary’s top player? Richard: I’m happy for my achievement, but I also know that this is just one step in my career. I’m working to reach my next goals. Anna: What are these goals? Richard: I would like to reach the rating 2600, then 2700. My main goal is to become a world champion. Anna: That’s quite a nice goal! How much time you devote to chess to achieve that? Richard: I work every day 8-10 hours. I wake up, have breakfast and start to train on chess. A short lunch break and then I’m back at work. Finally, dinner and some more chess. Anna: Do you train on your own or you work with trainers? Richard: Mostly on my own, but from time to time I train with GM Robert Ruck, GM Peter Lukacs and GM Jozsef Pinter, too. 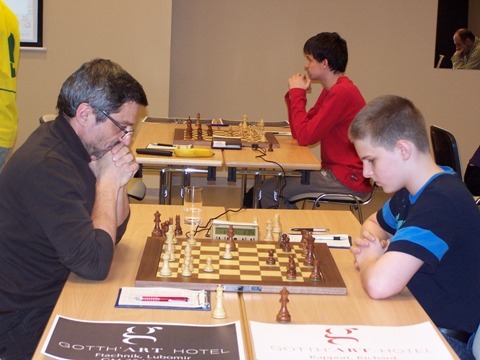 Also, I can thank a lot to my manager, IM Andras Flumbort and to my father, who has always supported my chess career. Anna: Chess is your life, one could say. Have you got any time for non-chess activities? Any sports you practise? Richard: Yes, I do have. I like to play with my little brothers and sister, ride a bike, play table tennis. I study English with a private teacher 5 times a week, and occasionally German, too. It’s necessary for a chessplayer to know foreign languages. Anna: What about school? You don’t have any problems passing the exams without attending the lessons? Richard: No, I learn quite quickly and easily. Passing the exams was never a problem. Anna: Let’s return to chess. Your favourite players? Anna: If you had a chance to train with anybody you wish, who would it be? Richard: I would love to change thoughts with Anish Giri. His style appeals to me. Anna: In which tournament/tournaments would you like to participate very much? Richard: Wijk aan Zee, definitely. Anna: Favourite games of yours? 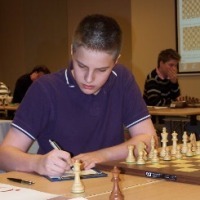 Richard: Perhaps my game against GM Peter Prohaszka from the 2009 Hungarian Youth Team Championship and the encounter with IM Laszlo Gonda from 2008, Harkany Open. Anna: Do you play on the Internet? Richard: I used to play on Playchess but I think one wastes too much time on such servers. I would play for fun now and then, but nothing more. Anna: If you had a different profession, what would it be? Richard: Hmm, I don’t know. I’m a chessplayer and I’m doing what I love. I wouldn’t choose a different profession. Anna: Richard, thank you very much! In the name of the Chessdom team and its readers let me congratulate you once again on becoming a grandmaster at such a young age. May the future bring you a lot of more successes! For further information, pictures and annotated games visit Richard’s website at www.rapportrichard.hu (available in Hungarian only, but we hope it will be translated soon).